Our worship services offer a combination of traditional and contemporary worship music styles. At each of our services, you'll have an opportunity to hear and sing along with traditional hymns accompanied by our organist as well as modern praise and worship songs led by our worship band. We are always looking for passionate people who want to help us praise and worship God through music. Please contact Mike Williams, Music Director, if you are interested in being a part of any of our Music Ministries. Our Worship band leads the modern music of our 10:00 blended worship services. The worship band will occasionally accompany the Chancel Choir and play for special worship events. 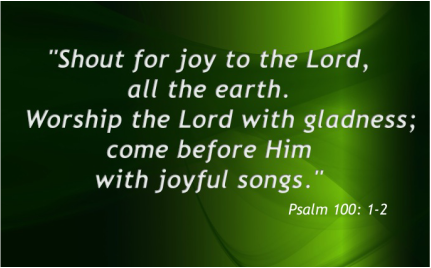 We rotate the group members on a per week basis so more can participate in the music ministry of our worship services. Rehearsals: 8:00am on Sunday mornings before Sunday school. Open to anyone from high school age to adult who is moderately proficient at piano, drums, guitar, bass, or singing. Our Chancel Choir sings periodically at our 10:00 worship service. A wide range of musical styles and instrumental support are used. The Chancel Choir is also active in ministry by singing and performing exceptional Easter music cantatas. Rehearsals: 11:30am-12:00pm on Sundays after worship, September to June. Open to all from middle school to adults.